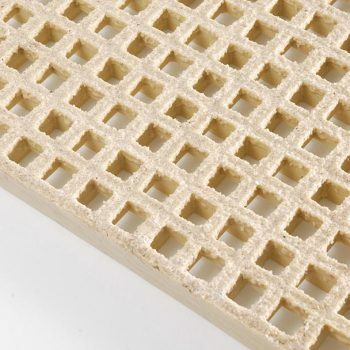 GRP moulded Micromesh grating has one-quarter of the opening of regular square mesh grating. These reduced openings prevent objects as small as 13mm from passing through the mesh. The closer spacing of the bearing bars also offers smooth movement for small wheeled trolleys and wheelchairs, while providing a greater loading ability than standard mesh types. Fibreglass rovings combined with a choice of thermosetting resins. 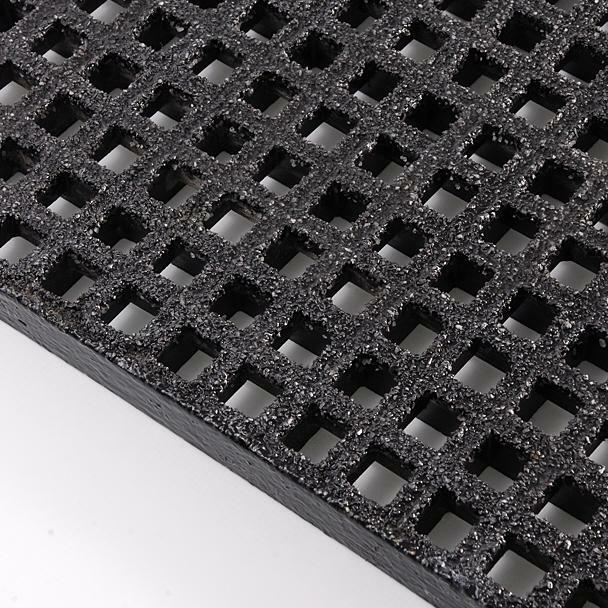 GRP Moulded micromesh (or minimesh) has one-quarter of the opening of regular square mesh grating. 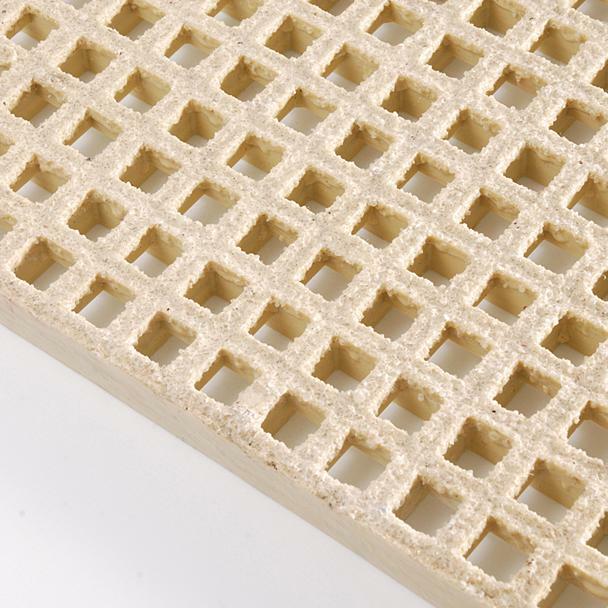 These reduced openings prevent objects as small as 13mm (1/2″) from passing through the mesh. The closer spacing of the bearing bars also offers smooth movement for small wheeled trolleys and wheelchairs etc. 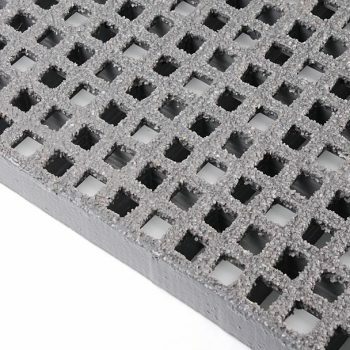 while providing a greater loading ability than standard mesh types. 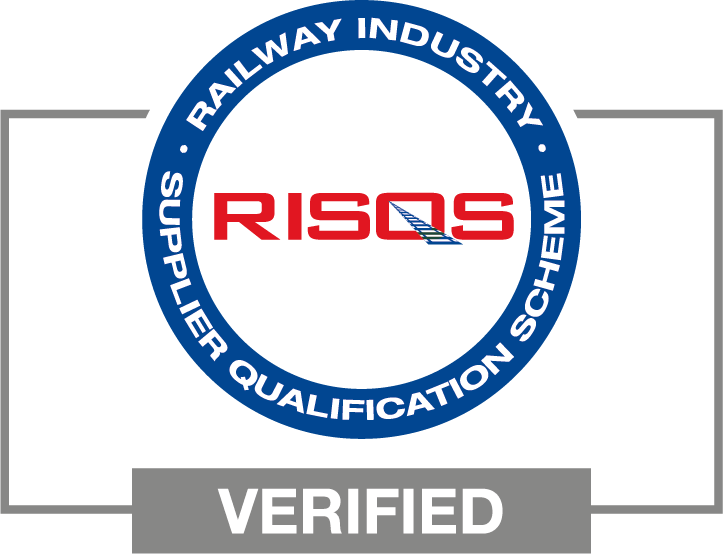 The addition of a bonded grit coating, comprising of refined aluminium oxide, also adds excellent anti-slip properties & further enhances durability. The relatively light weight of the product makes transport, handling & installation far easier than metallic gratings. Panels may be cut to size before delivery to site for immediate installation, or cut in-situ using diamond tipped tooling and resealed using approved resin top coat.